We have been discussing the importance of HR analytics on this blog for many weeks now. I have debriefed from 3 conferences over the last six months providing the latest and greatest research on HR Analytics. One thing comes up over and over. 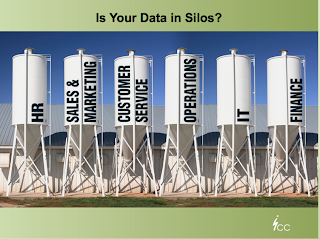 You can't look at your data in silos. Whether you are talking about HR data, operational data, customer data or financial data, it needs to be analyzed from a systems perspective. We are now at a place in the metrics journey, where managers in organizations need to be predictive and have data to make better decisions. 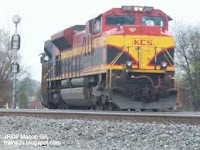 So, that requires the leadership from all functional areas to: actually collaborate around execution of business strategy, consider initiatives to be embarked upon and to solve business problems with intelligence that already exists in each functional area. There is an interesting download paper on the "The Untethered Executive: Business Information in the Age of Mobility" in the latest edition of Forbes Insight. As a member of the Forbes Insight Panel I thought you would be interested. In summary the paper says" Much has been written about how smartphones and other mobile devices are changing the way people communicate. But little has been done to understand what the impact of this shift is on the executive suite. Are executives willing to use their smartphones for business purposes beyond email? Is the information they access via a mobile device being used to help drive business decisions? Do different “generations” of executives treat mobility differently, and are some more willing than others to blur the lines between business and personal communications devices? " Has HR GAINED or LOST Ground Post Recession? In the most recent edition of HR Magazine, there was a very interesting article by Edward Lawler, Jay Jamrog and John Boudreau, "Shining Light on the HR Profession" (membership required) regarding HR's positioning post recession. SHRM distributed a survey to approximately 1000 HR executives and other types of managers to organizations ranging in size from 1,000 to more than 100,000 employees. Are You Creating A Culture of Innovation? Great companies make innovation happen. The basic element is culture. The worlds best structures will under perform without a culture that supports people trying new things. After three days of listening and participating in the IQPC HR Metics Summit, I have a renewed and confirming passion around the subject of Human Capital Metrics. It is exciting for me to hear that HR practitioners that are attending this summit are moving past typical tracking measures and actually getting to metrics that matter to the business. I know, I have been asked many times about the difference between metrics and analytics. Luk Smeyers with INostix in Europe has created a very cool list of words that show the difference between the two concepts. Thanks Luk! A lot of my clients and contacts are asking me quite often: "In a few words, what's the difference between HR metrics and HR analytics?" For a few weeks, I have been writing down such words in my beloved iphone (the 'Notes' app). Here you go...enjoy! Historically, Human Resources (HR) has not played a very strategic role in innovation. This needs to change rapidly as we move in the 21st century. HR needs to support the cultural change to enable innovation; and the upcoming generation of HR practitioners are not going to settle for an ‘administrative-only’ role. Innovation is primarily a social thing. Really. While processes are important, ideas come from interactions between and among humans. At the 2nd Open Innovation Summit and at the BIF-6 conference this came through loud and clear. The most fundamental asset a company has is its humans. So, wouldn’t you think the organization assigned to maximize (20th century business = manage) that resource is critical to a company’s success? 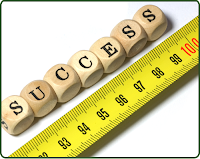 Talent Management: Does What Get Measured Really Get Done?